For the past few years, industry observers have feared that Jaguar still has too many sedans in the lineup – part of an earlier effort to take on German automakers in just about every segment – while a bet on diesel engines hatched at the same time as the outbreak of Volkswagen’s sweeping diesel emissions violations hasn’t helped. Jaguar’s bet on diesel recently contributed to a particularly stinging financial loss at parent Jaguar Land Rover in the fourth quarter of 2018, one in which Jaguar admitted that it won’t see returns on investments that it envisioned. The automaker also plans to cut 10 percent of its work force, feeding speculation of larger-than-reported problems. A solution isn’t as simple as cutting models and doubling down on crossovers and SUVs, even though that’s what some automakers have done. The XE and XF are both about 4 years old – merely at the middle of their product cycles; Jaguar is currently making plans for their replacements amid a gloomy outlook for sedans in the near future. Autocar reports that the automaker is considering combining the XE and XF into one model, a sedan that could be offered as an EV or a plug-in hybrid. As innovative as the plan sounds, Autocar notes, it would represent an even bigger bet on a powetrain technology than a stake on diesel engines represented four years ago. 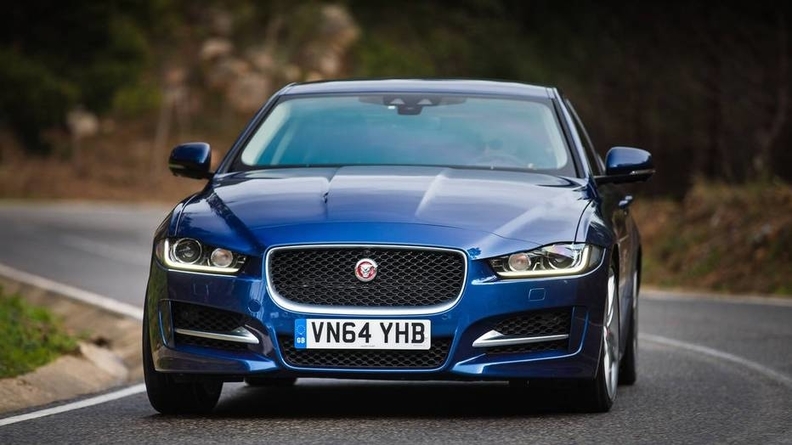 Will hybrid versions of the XE and XF be able to turn Jaguar sales around in the near term? Even if the two sedans struggle along until the end of their product cycles, the other half of the company may be able to pick up the slack to keep earnings in the black. The biggest news of 2019 for JLR will be the debut of the all-new Defender, news that may well upstage the launch of the second-generation Evoque that will go on sale in the second half of the year. There is still some time for Jaguar to make up its mind about its two smaller sedans before their time on the shelf is up, but in the meantime both models will see significant midcycle updates in 2019 that will include hybrid powertrains for both sedans; one of the versions of the upcoming hybrids will use a 1.5-liter, three-cylinder engine, Autocar says.